Email us Your Questions, Banter, Comments, Historical Corrections if you feel so inclined. We love to hear from our friends, fans and even enemies. What we really LOVE is Pictures of You Wearing Nothing But A Bear Arms Shirt. Share them on our Facebook Page, that's the bestest. -Where the hell is my order? -Is this Real Bear Fur? 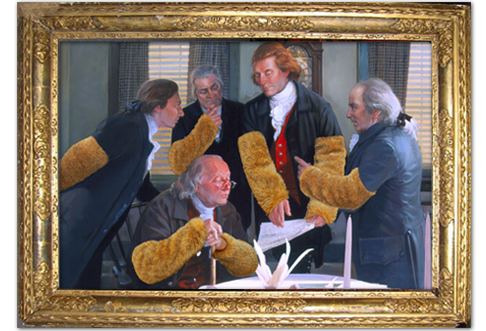 -Did our Forefathers like stuff? 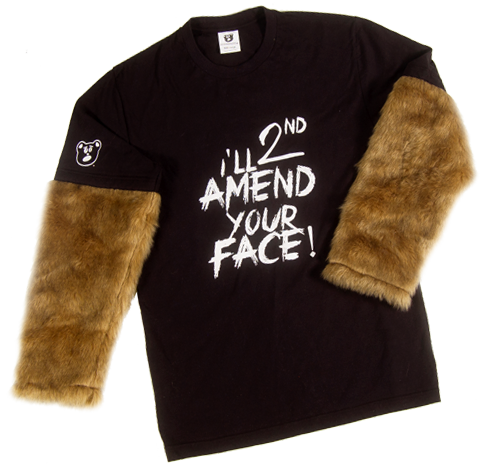 "I love my bear arms shirt, it's the greatest shirt I own because it's great and stuff"
"My Bear Arms Shirt is stupid! It doesn't even have teeth." "I may be only 12 and a late bloomer, but now the ladies love my hairy bear arms, Thanks!" "So.... can you load this thing or what?..."